Designed with ease and comfort in mind. 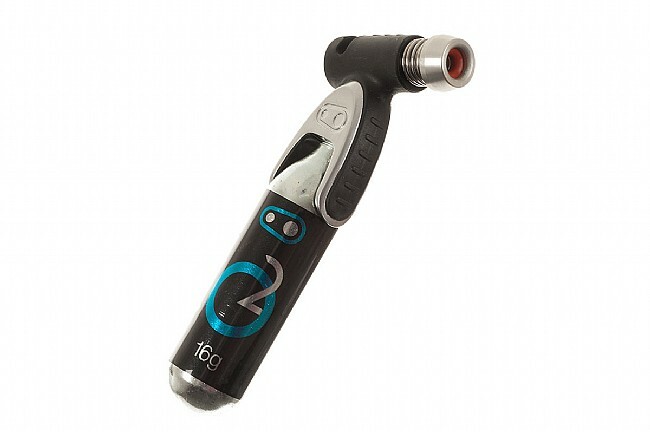 For their Sterling line, Crank Brothers gave this CO2 inflator some nice perks. The integrated frost guard keeps fingers away from chilly cartridges, inflation is regulated using push spring air control, and the inflator head will accept threaded 12g, 16g, or 20g cartridges. Ready from the get go, two CO2 cartridges are already included as well. 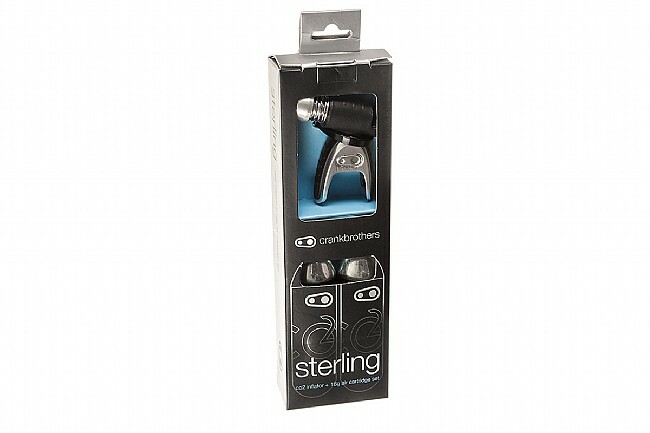 I bought two to pack in our tool pouches for the trail. They dont weigh much and take up very little space in our packs. I havent needed to use them to pump tires yet. - compact and it works well. I have only used it once (and just for a test run in the garage). It worked rather well, AFTER I figured out how to hold it correctly without cold burning my fingers. AND that will be a trick if you have monster hands, i have little dainty hands I can see how that helped to avoid the cold burn. Otherwise so far I think I really like it.